Teenage drivers in New Jersey must work through a graduated driver licensing (GDL) program to become fully licensed. As part of this program, 16 year olds must enroll in an approved driver education course and practice driving with a licensed instructor before being issued a provisional license. 1. Transportation to Motor Vehicles to obtain a permit, vision exam, plus 6 hours of training behind the wheel practicing parallel parking, Reverse, K-Turns, and driving in local traffic and on the highways. 2. Upon successful completion, we will validate your driver’s permit with Motor Vehicles, and we will schedule the appointment for the road test. 3. You will also receive a 6 hours driving school certificate. Our services are all door to door. This means that we will pick you up and drop you off at home, school, or office, provided that your location is within our service area. This package is $275 plus an additional $14 for the driving permit and decals. $10 for the permit and $4 for the red decals to put on you license plates (which is required by law). Note. Students that do not have a High school blue card (proof student has passed the written exam) may prepare for the written test by using the NJ Motor Vehicle driver’s and by taking our practice test. Upon completion we will take the student to the NJ Motor Vehicle agency to take the written test. Our driving lessons are usually given in two-hour blocks. Each lesson is individual and based on the needs of the student. 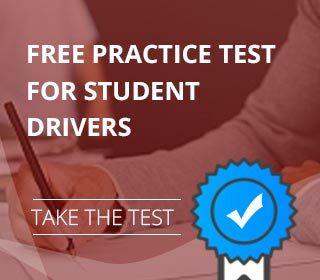 If the student is an experienced driver and only interested in reviewing for the road test, the instructor will design that lesson for that student. Six-hour courses usually consist of 3 two-hour lessons, but sometimes the student might prefer 2 three-hour lessons.